My interest in dental hygiene stemmed from my constant positive experiences I had as a child and young adult visiting my dentist office. I learned early on that my healthy smile was a result of good oral hygiene and regular professional care. It was that reason that I chose the path of a dental hygienist. My commitment to my patients and my profession remains strong. My philosophy is, every mouth and person is unique, so patients treatment should be personalized and unique. There are many obstacles that can impact a person's ability to care for their oral health. I assist and work with my patients to overcome them. I have always maintained an interest in community care, special attention to persons with physical or intellectual challenges and seniors. I am dedicated to my profession and therefore attend continuing education courses to keep current. A visit with me will include a one to one comprehensive assessment, thorough tissue treatment and post care options. "Everyone deserves affordable and professional dental care." Heather's 20 years of experience practicing in the dental profession makes her a great addition to our team at Dundas Dental Hygiene Clinic. Education, prevention and understanding her client's individual needs on achieving optimal oral health are always her goals. 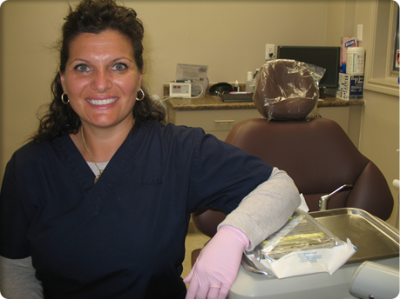 Heather works Saturdays at Dundas Dental Hygiene Clinic.